When we design a website, the most important part is the navigation which allows users to easily navigate the website content. To have a nice navigation menu, you need to have the good knowlesge of CSS coding. But some time it is time consuming. So i am posting a collection og CSS menu navigation scripts which can be easily intrgrate into your website to match the website design. It will save your time and effort both. 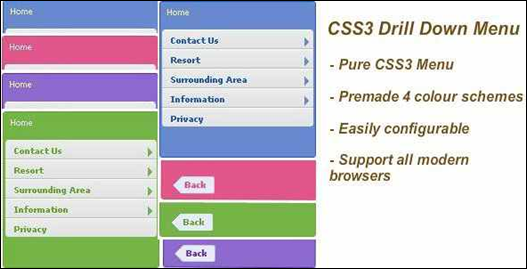 These are some nice CSS menu that you can use free of cost.